Jason Gallagher and Peter Edwards have organised a course in Leeds at the end of October. 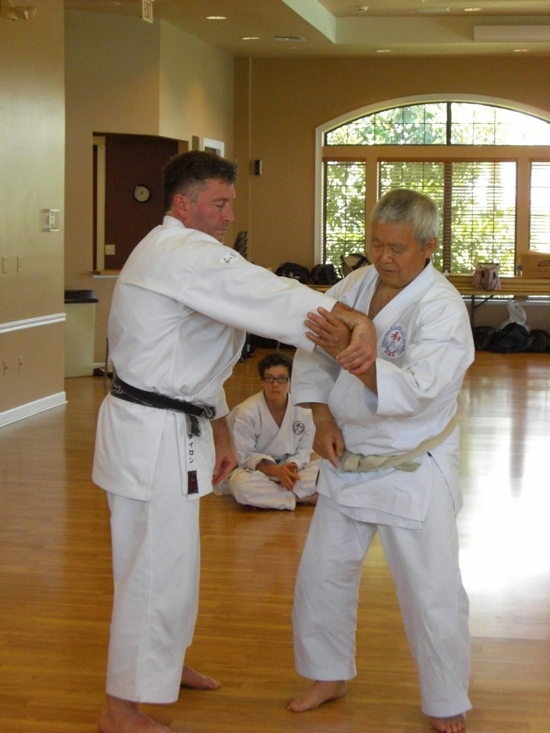 Sueyoshi Akeshi and Jorge Rosa from Portugal will be coming across to teach. They have been to the UK many times teaching in the North East at Peter’s club and also in Norway. This will be a general introduction and the course is open to all. You don’t have to be a member to attend. Any grade is allow to come. You will need to bring a bokken (wooden sword) and possibly a jo (short staff) although there may be some limited spares on the day. If you have an iaido sword, blunt edge, then that is allow. No shinken, live blades are allowed. From 11am – 3pm each day. £50 for the two days, or £30 for one day. Further details on hotels will also be available soon. The fourth national Wado Academy squad training of the year took place on Sunday 11th September at Sensei Arthur Meek’s full time dojo in Bridgwater, Somerset. Nearly thirty Wado Academy members attended including some young members attending for the first but hopefully not the last time! Just a few from the course. Wado Academy Championships VIP tickets will be on sale. Priced at £20.00 each. These will give front row seating for the International events between England, Norway and Italy which begins at approx lpm on the day. These tickets will also include admission to the evening party to be held at the Almondsbury Interchange Hotel approximately five minutes drive from the leisure centre. There will be a buffet served at the party. There will be a limited number of these tickets available so please send for yours as soon as possible. Cheques made payable to Head To Head Promotions Limited.